Later topic: Need help! Broken C&P tabletop platen press. So I’m printing on a 10x15 C&P Platen press and am having inking issues all of the sudden. This is my first time printing with metal plates as I usually use polymere. For some reason in the info section of the plate I’m getting heavier inking around the sides and super faded right in the middle. I’m using rubber base ink. I’ve never had this issue before. The other issue I’m having is the ink hitting the floor of the plate, basically the edges and that’s showing up on the paper. Please help! The first thing I would suspect is that the metal plate is thicker than the polymer plates you have used. Can you measure them? As at least a short term fix to get the job out, if the rollers are inking the floor of the plate, then they are too low for that particular plate. I would try taping the rails to raise the rollers. If you just need to get this job out, you can just put tape on the rails where the plate is, plus an inch or two more. (Clean and dry the rails so the tape will stick well). You can use black electrical tape (which I do all the time although some on here don’t like it). 3M electrical tape is usually 6.5 thou thick, so you probably won’t need many layers. So I taped the rails with electrical tape and it’s helped a bit but I’m still getting heavier inking on the left side. I can feel the impression on the line on the top and bottom but not in the middle. Here’s a picture of the plate, it just doesn’t seem right to me. Do you think the it’s too thin of a font? The tape definitely helped with the edges of the plate inking up. The rollers still might be hitting the type too hard. When they do that, they can slide across the type and wipe the ink off. It would be more pronounced with that fine type, but you should be able to print it. Try putting more tape on the rails until the type doesn’t ink, and then take just enough off. Do you have a “lollipop” roller setting gauge? it would be nice to test the roller settings with that. Also, don’t forget that the rollers might not be set correctly side-to-side, and you might have to put more or less tape on one side only. Don’t forget too that the bottom roller inks the plate last before it is printed, so that is the one that has to be set perfectly. Try double or triple rolling the plate before you print it, and see if that helps. I just had a thought that if the metal plate on your base is more than type high, then the roller setting gauge won’t be much help. no matter what I’m still getting the fading. My rollers have plastic trucks, do you think they could be warped? I turned the chase 90 degrees to see if that changed things and it didn’t at all so that’s what makes me think it’s rollers. By the way I really appreciate you helping me. Your comment about feeling the impression on the top and bottom, but not in the middle make me think perhaps your problem is not an inking problem, but rather one of improper packing behind the sheet being printed. Is the surface of the tympan flat and hard? You will get the best looking print if the whole of the form gets equal impression. John Henry’s idea is a good one. Do you have hard packing under the tympan, like a sheet of copier paper and then pressboard? 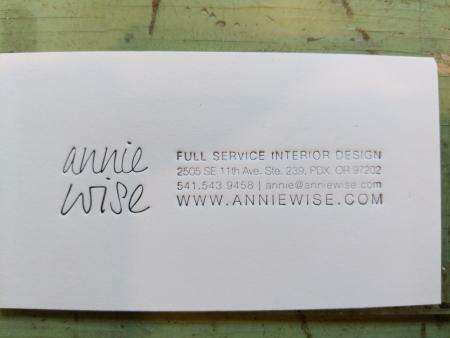 To elaborate on what JH said and analyze the impression pressure situation, the “annie wise” isn’t printing too badly. Since there is less image area there, the available impression pressure is enough. 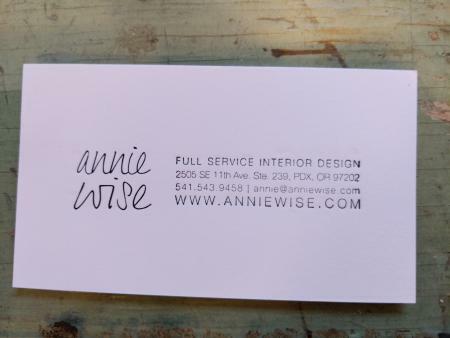 Where most of the fine type is, which creates more image area, there isn’t enough available impression pressure to make that area print, and impress well. As proof of this, more-or-less, look at the far right edge of the fine type, where the print is a little darker. It is darker because there isn’t any image area beyond the right edge of the type. So, the right edge can print better because the non-image area immediately to its right is contributing some extra impression pressure. You can add impression pressure by making the packing harder, as JH said, because then the packing will not be able to absorb the impression pressure by being compressed. You could also add impression pressure by doing a conventional makeready with successive concentric layers of tissue only where the impression is light. However, doing it by making the packing harder is a lot easier, in this case. There, I over analyzed the situation, as usual with some of my posts. But hopefully it will help you to understand what is actually happening with letterpress printing so you can solve problems better. I have been reading all the comments and there have been some useful thoughts. Breaking them down might be useful. You say that this is a first and when you use polymer you have been ok. To me that implies your rollers are well set and suspect you are using a polymer base. So with this metal plate how is it mounted? On wood? If you have some type, say 48pt, if you put it next to the plate and rested a ruler over both the type and block you might be able to see if the block is higher. If it is that should be your starting point, to see if you can get it back to type height.